All roads lead to Nowlan Park on 24 March. THE TV AND ticket details for the Allianz hurling league semi-final double-header have been revealed. Kilkenny’s Nowlan Park will host the final-four fixtures on Sunday 24 March, with All-Ireland champions Limerick taking on Dublin in the opening game at 1.30pm. The second semi-final between Waterford and 2017 Division 1 champions Galway will follow later in the afternoon at 3.30pm. 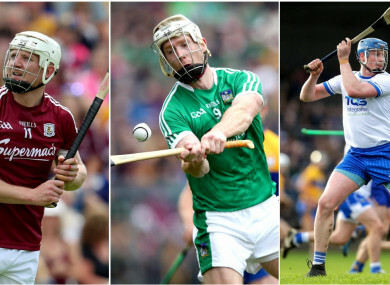 TG4′s GAA BEO will provide live coverage of the games, and will be followed by a deferred showing of Tyrone v Galway which is due to air from 5.20pm provided the hurling games do not go to extra-time. Ticket prices for the double-header are available at €20 for adults and €5 for juveniles. Mattie Kenny’s Dublin charges booked their place in the semi-finals after a narrow one-point win over Tipperary in Semple Stadium, while Limerick comfortably dispatched Laois on the way to the last-four stage of the competition. As they prepare for a fourth consecutive semi-final, the Shannonsiders are aiming to make a league final appearance for the first time since 2006. Joe Canning hit an impressive 0-15 against Wexford to steer Galway into the semi-finals where they will face a Waterford outfit who overcame Clare at the weekend. Micheál Donoghue’s side will be looking to reclaim the title they won two years ago before going on to earn Leinster and All-Ireland honours later that year. Further details about how to buy tickets for the semi-final double-header can be found at GAA.ie. Email “TV and ticket details revealed for hurling league semi-final double-header in Nowlan Park”. Feedback on “TV and ticket details revealed for hurling league semi-final double-header in Nowlan Park”.